PHARRELL SUES FOR $5 MILLION OVER BOTCHED DEAL FOR HIS "Q QREAM" LIQUOR!! 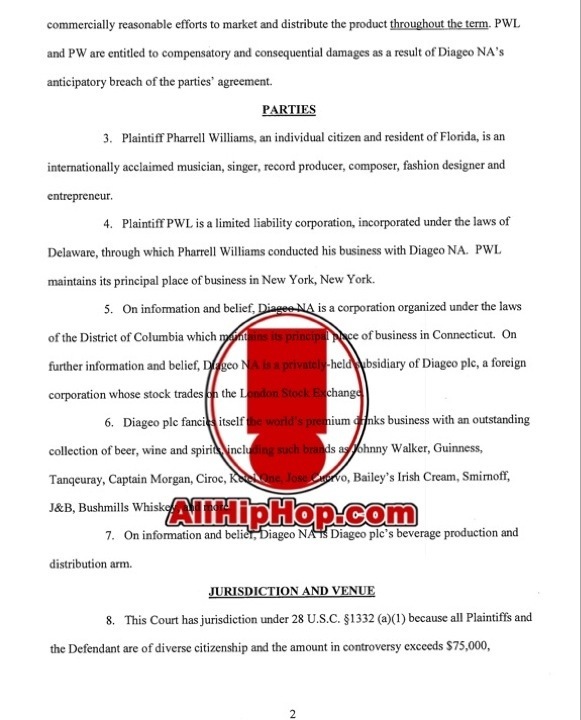 (AllHipHop News) Pharrell Williams has filed a lawsuit against Diageo North America, over a deal to market and distribute the superstar rapper/producers brand of liquor. 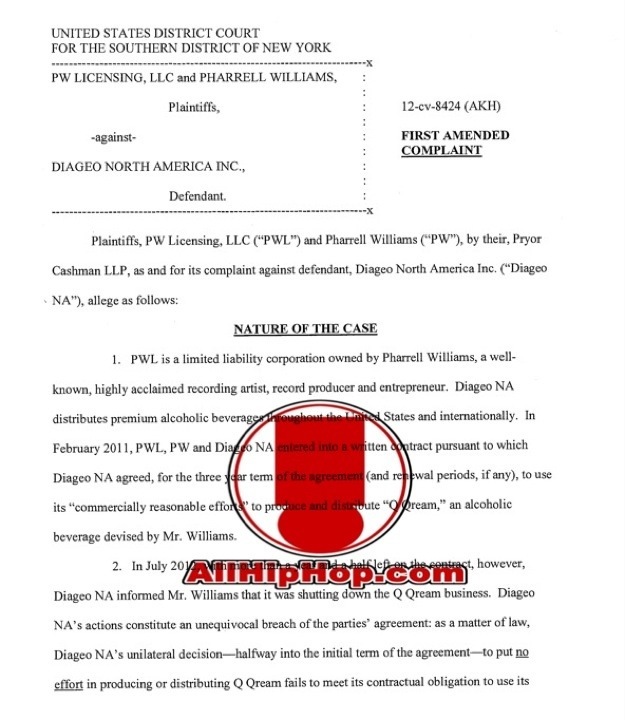 Pharrell Williams PW Licensing LLC filed the lawsuit against Diageo North America last week, in Manhattan federal court. The lawsuit claims that Diageo failed to produce and distribute his "Q Qream" alcoholic beverage, which was supposed to be a high-end drink marketed towards women. The lawsuit claims that in July 2012, Diageo informed Williams that they would be shutting down the Q Qream business, without warning, after two years of building the brand. "PW turned away other concrete opportunities to collaborate with other alcoholic beverage distributors on a partnership, in favor of proceeding with Diageo," the lawsuit reads. Pharrell Williams claims that sales of his Q Qream liquor were "substantially lower" because it was marketed as a "club drink" and not the "high-end, leisure class" drink that he envisioned Q Qream to be. The lawsuit also claims that Diageo manufactured bottles of Q Qream that had faulty tops, impacting bartenders and consumers willingness to use the product. Pharrell Williams seeks $5 million in damages.